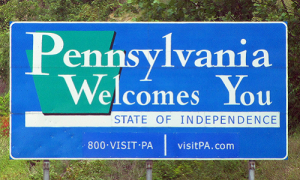 Pennsylvania’s ongoing flirtation with online-gambling legalization took another turn on the dance floor this week, teasing the poker world and other pro-gaming factions with the possibility that this time, a budget deal finally occur. Instead, as has happened in all previous budget and legalization battles, the gaming issue was shunted off to the side as other stop-gap solutions were put into place to balance the state’s annual budget. The net result: No real change in the situation, and likely no such regulatory approval in the state for online poker and other forms of online gambling for at least the rest of the year. Perhaps of even more importance, the stopgap measures put into place to move the state’s budget forward effectively sidestepped the online-gambling issue, meaning that the Keystone State’s competing pro-gambling interests will all come back next year to the same log-jammed predicament. As has happened in previous Pennsylvania state budget-debate cycles, the online-gambling proposals. found themselves victimized by a larger maelstrom. Last year’s annual budget left a $1.5 billion shortfall, in a state with a balanced-budget provision added to its constitution, and the expected revenue from online gambling was supposed to patch about 10 percent of that difference. Next year’s state budget has been slated to come in at roughly $32 billion, leaving Pennsylvania’s legislators with a 5% gap between expected revenues and expenditures. The 2017-18 budget battle in Pennsylvania tracked the same lines as a year ago, and the results were the same for the online-gambling question. In the end, the state’s Republicans and Democrats could not close a deal, in large part due to a split among Republican factions that killed a couple of new usage-tax proposals. That meant no passed budget, and it put Pennsylvania’s Democratic governor, Tom Wolf, on blast. To cover the pending deficit, Wolff announced a plan to borrow an estimated $1 billion from the state’s liquor-tax revenue fund. Among the possible revenue sources to be scuppered was a tax on a major shale deposit in the state. Pennsylvania was one of the original sources for oil, though its easy reserves were tapped out decades ago. Much fuel (in the form of natural gas) remains in the state in such places as the Marcellus Shale, the large deposit. However, the state’s GOP leaders refused to consider an extraction tax that could have helped patch the budget deficit, leading Wolf to blast those GOP leaders as being beholden to special interests. Online gambling’s hopes in a state with such ongoing philosophical disparities remain a large impediment to regulatory approval in the sort term. The three US states where online gambling has been approved and launched — Nevada, New Jersey and Delaware — have shared two key elements: Large budget deficits and unified, po-gambling support. In contrast, the earlier battles between the competing pro-gambling factions in Pennsylvania have forced generalized regulatory approval measures to be included in larger budget measures, where they’ve become easy targets of those similarly-larger budget wars. It’s been a little too convenient for Pennsylvania pols to shunt aside the mildly controversial gambling-expansion issue to focus on larger budget matters and idealistic principles. In the Keystone State, at least for the time being, that means nothing has really changed.